How Many volunteers does WaterFire need to make each lighting possible? 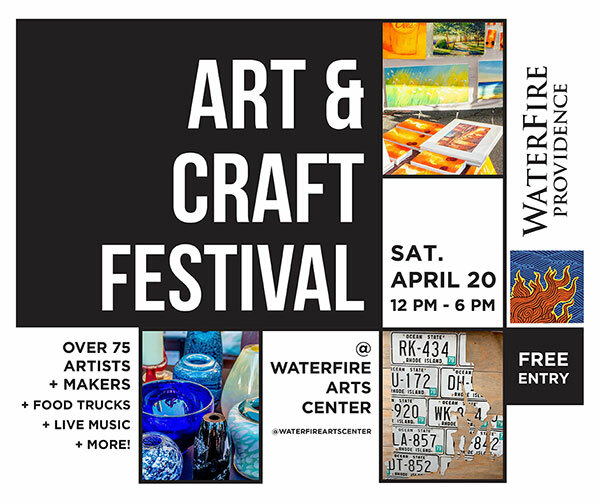 How can I sign up to start receiving more info about volunteering with WaterFire? How can I learn about the different volunteer opportunities? How many shifts should I sign up to volunteer for? Is it possible for me to volunteer only on boats? Do I have to sign up to volunteer for every WaterFire lighting? Where are the Volunteer Orientations? What should I do if I can’t make my scheduled shift? What is the Volunteer Dress Code? Will Volunteer parking be provided? During a Full Lighting, WaterFire needs at least 150 volunteers to contribute throughout the day. Larger Lightings require even more. Interested volunteers should either Contact the WaterFire Volunteer Department directly or register for Volunteer Orientation. The WaterFire Volunteer Department can be reach at volunteer@waterfire.org or 401-273-1155 x171. You can sign up to recieve volunteer announcments on our website. We welcome you to join us and discover just how much excitement and fun there is in producing such a unique and exciting event! Whether you are a “behind the scenes” kind of person, want to shine in a larger role, or you simply want to experience WaterFire from a new perspective, we would love for you to join us. Please visit this link to learn more about the volunteer opportunities available at WaterFire. WaterFire does not have a minimum age to volunteers. Volunteers must be the presence of a guardian if they are under 15. However all volunteers that are handling a lit torch or are a fire tender on a boat, must be 18+ for liability issues. WaterFire will make every effort to accommodate your availability and desired preference. Volunteers can choose to volunteer from three shifts during a typical event. The first and second shift is four hours long, while the third shift is determined by the length of the event. Types of shifts as well as duration of shifts may also vary depending on the scope of the volunteer assignment. Being a Fire tender is a popular volunteer activity, but by no means the only one necessary to make WaterFire possible. WaterFire does it very best to place volunteer in the assignment they desire. However, signing up only for being a fire tender does not guarantee you will be placed there every event. WaterFire encourages you to volunteer at as many events as you would like and does not require you to sign up for every WaterFire lighting. Absolutely! WaterFire will try the best to its ability to make sure groups who wish to volunteer together can do so. 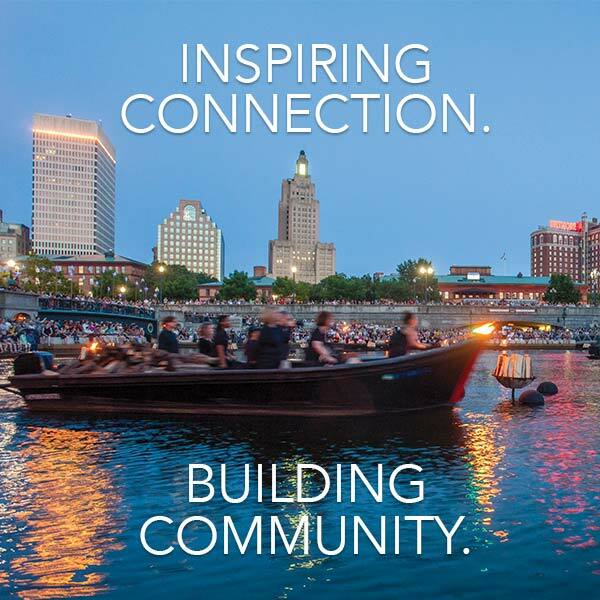 Volunteer orientations will be held at the WaterFire Office located at 475 Valley Street Providence, Rhode Island. 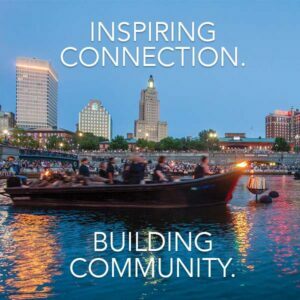 The orientations are typically one hour sessions where the WaterFire Volunteer Experience will be covered in depth. We do understand from time to time certain situations may arise that prevent you from doing so. We ask that you inform the Volunteer Coordinator as soon as possible leading up to the event. We ask that you contact the Volunteer Coordinator first before asking another volunteer to take your place. During the day time prep, volunteers are welcome to wear whatever they don’t mind getting a bit dirty in and has breathable fabric. During WaterFire, Volunteers are seen as part of the art. WaterFire has a strict all black dress code during the evening. Volunteers must be in black, head to toe, with minimal logos and other colors being present. WaterFire does not provide black clothing. The Dress Code is mandatory. While WaterFire cannot guarantee parking, WaterFire will work to the best of its ability to provide parking free of charge for volunteers at its events and is able to so in most circumstances. WaterFire highly advises Volunteers lock their valuables in their own secured vehicles parked in the Volunteer Parking lot. Volunteers who wish to bring personal belongings with them will be allowed to store their stuff in the back of the Volunteer Truck however, space is limited. WaterFire is not responsible for any times left at the Volunteer Check-in.